Furniture Flippin': Here's Hutch. What Happened To Starsky? Here's Hutch. What Happened To Starsky? Get It? Stars, Key, & Hutch! 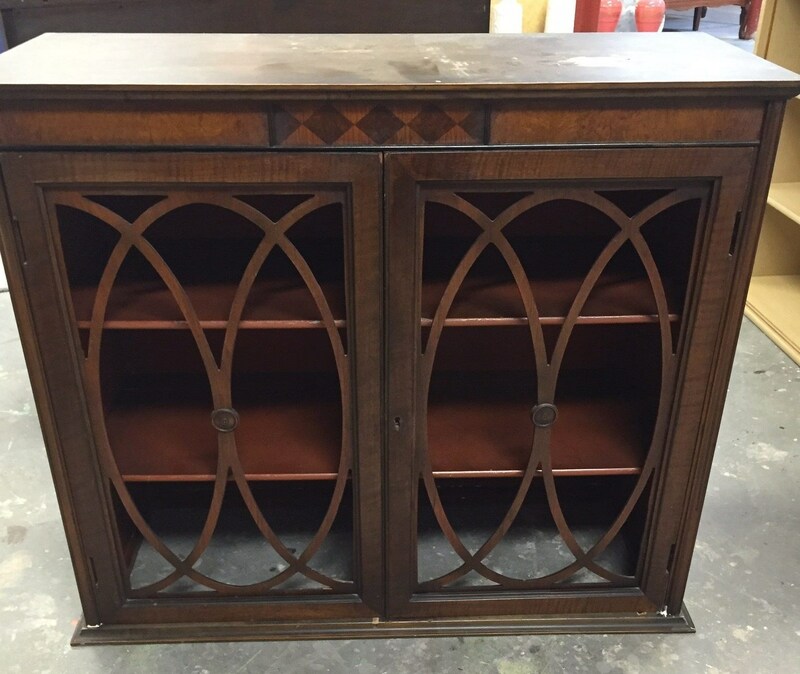 If you are a furniture flipper, I bet you have now, or have had in the past, an unwanted hutch top sitting around doing nothing. I had one. I can't remember what I did with it. All I know is that it was in our garage, and now it's not. I think my husband had something to do with it's disappearance, but he hasn't copped to it yet. Anyway, today's flip. 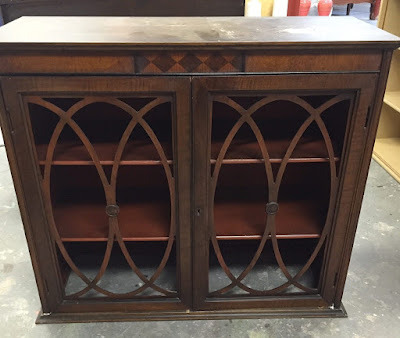 The hutch part I'm talking about looks like this. It would sit on a base. Many times, people just want the base and have no idea what to do with the top part. Well, here is a spectacular idea that will make you weep for days at the loss of all of those hutch tops you (or your spouse) may have tossed. 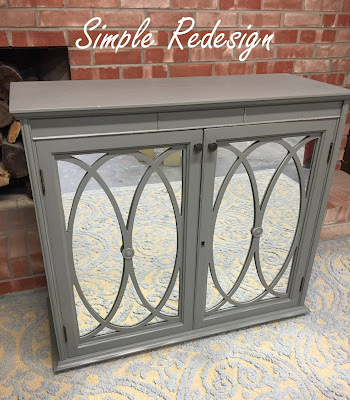 Let's talk about Julie from Simple Redesigns. I adore Julie. I check out her website for her work and follow her Facebook page. I have to dole out my compliments to her projects a little at a time, so she doesn't get a restraining order against me. A makeover of hers will pop up in my newsfeed and sometimes I make sure I'm NOT the first one to like it. Haha. Then after the appropriate time has passed I come back to it, like, comment and dream that I own that piece. Like today's. 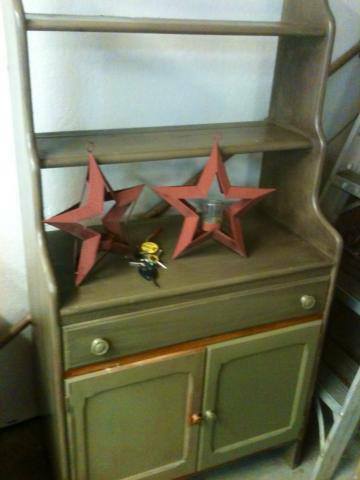 Julie took this hutch top and transformed it. It's new purpose was going to be as a sink base in a bathroom makeover. Julie added mirror to the doors to hide the plumbing and whatever other bathroom necessities would be stored there. Then she painted it in a pretty color. After her part was finished, she handed it off to her friend Mindi of MindiFreng Designs. 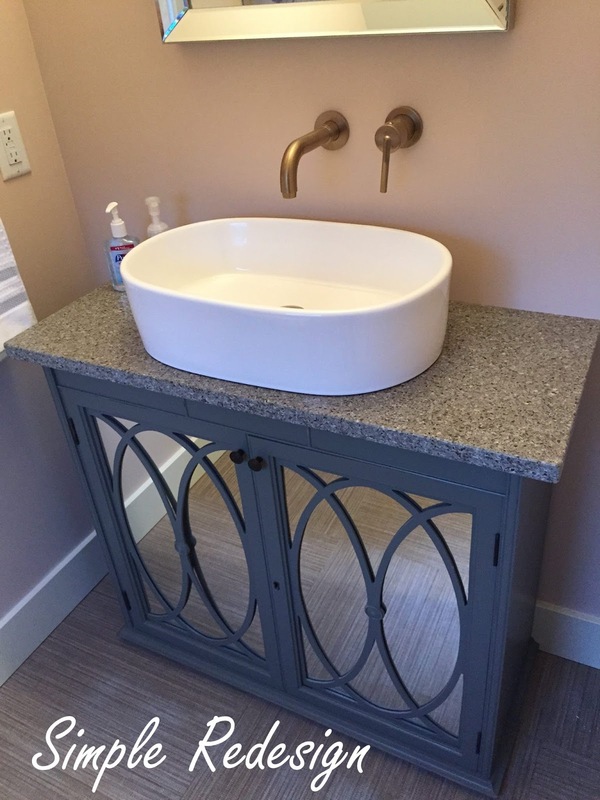 From there, Mindi's plumber took over and finished its conversion into a bathroom vanity. Look at it now! Isn't that something else? Doesn't that make you want to run out and find a hutch top to convert? It does me! If you find one send it my way! 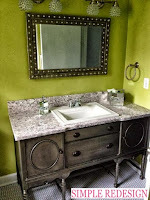 I DISLIKE my bathroom vanity and would be in bathroom heaven to have a piece like this! Now check out the one that Julie did for her own 1/2 bathroom. Julie has excellent taste! You seriously need to go check out her work. She very generously shared, too, the recent remodel/reno she and her husband did on their own Mid Century Modern house. Gorgeous is the only way to describe it. We've seen Julie's Simple Redesign work here before on the blog. 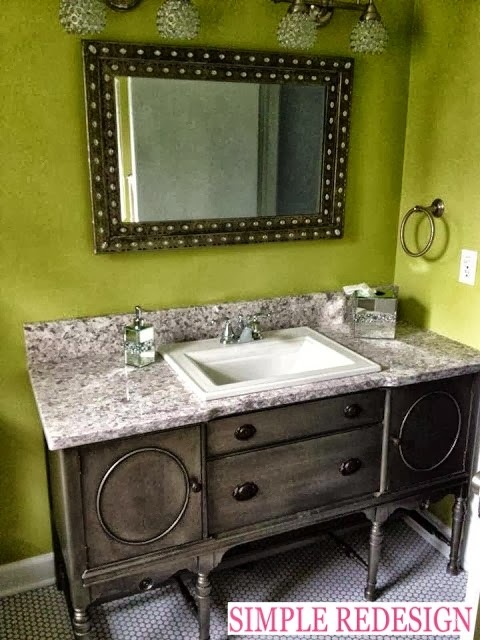 I have a tendency to pigeonhole Julie into the "furniture into bathroom vanity" category and that's just ME. 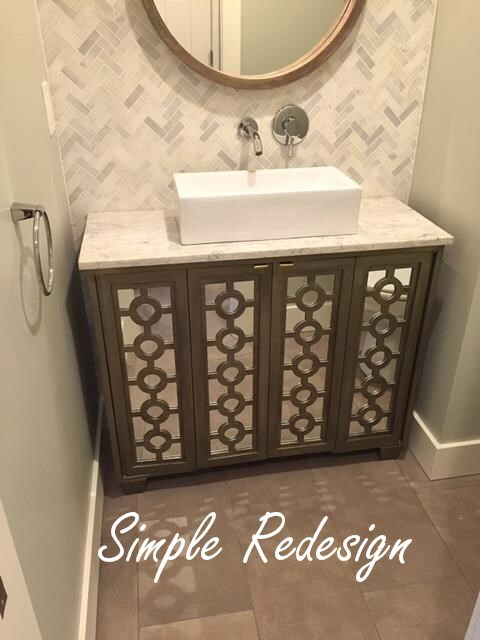 Because of MY obsession with furniture being turned into bathroom vanities and my hatred of my own traditional bathroom vanity. Actually, those conversions make up a very small part of her vast repertoire of furniture flips. Once you go on her website or Facebook page, you'll be inspired for days. Her single vanity was a huge hit! That green desk is so much fun! The double vanity? Well, there aren't enough words to describe its beauty. Keep up the fabulous work Julie! That concludes another week of Furniture Flippin'. We shall take a break for the weekend! Woohoo! See you next week!